When choosing a pediatrician for your child it is important to choose one who matches your personality and needs. This is the time to ask yourself, "Can I develop a long-lasting relationship and good communication with this professional?" You will be working together extensively for many years to come to ensure the health of your child. Technology and the internet has made it possible for the pre-adoption medical record examination to be done by physician far away. However, the physician you chose to be your child’s pediatrician should be located closer to you. The job of the physician who performs the pre-adoption medical record examination is to provide an interpretation and explanation of the child’s medical records. This evaluation will inform the parents of any potential medical problems as evident in the records. This physician will also prepare a follow-up so that the chosen pediatrician can better investigate any suspicious conditions found in the pre-adoption records. When selecting a pediatrician, parents can either chose one affiliated with an international adoption clinic, which are often associated with a hospital environment, or an international adoption private practice. When making the selection, there are some factors to consider, such as whether the doctor has prior experience treating internationally adopted children. Some other factors to consider are the physician’s location and if the physician is in your health insurance network. Some general pediatricians choose to not treat internationally adopted children. This can be for several reasons, one of which is a lack of experience treating ailments endemic to an international population. If possible it is a good idea to find a pediatrician who has experience in treating internationally adopted children. Before a child is brought home, it is wise for parents to schedule an initial appointment to get to know their pediatrician of choice. 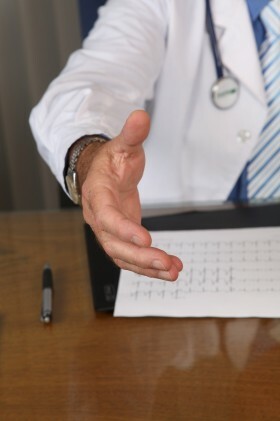 It is important that the parents feel comfortable with this physician, and that this physician provides clear explanations to all their questions. This initial appointment is also a good opportunity to make sure the physician is aware of and able to treat concerning conditions discovered in the pre-adoption evaluation. There are numerous questions that can be asked during this appointment. For example, does the physician have experience treating the potential complicated issues of the internationally adopted child? Another is whether this physician will perform the post-adoption medical examination or refer it to a specialty clinic. Parents may also want to know if, in the case that hospitalization of the child becomes necessary, will the child be admitted to a local hospital or one that specializes in treating children. It is also important that parents can communicate well with the office staff. A lot of time will be spent talking to clinic staff members, and it is important to discover the nuances of the office’s logistics. Knowing specifics, like the typical amount of time a patient waits for an appointment and how Sunday and holiday emergencies are handled, can help parents decide if they like the clinic their physician is affiliated with. The discovery of undiagnosed medical issues is a possibility, and can cause emotional distress. Your pediatrician will find these undiagnosed or unrecorded medical conditions and treat them. Also, sometimes conditions found during the pre-adoption evaluation are not accurate, and your pediatrician will be able to confirm this. The number of medical examinations, labs, and vaccinations can be overwhelming and emotionally stressful. Therefore, it is important for parents to choose a pediatrician they work well with, as this physician will provide support, guidance, and expertise during this stressful time. Pediatricians are accustomed to answering questions about the health and development of children, and usually enjoy sharing their knowledge on these topics. Deciding who will be your child's pediatrician doesn't have to be stressful. Choosing one that is compatible with your personality and the specific needs of your child will open the door to years of positive exam room interactions.